Furiends, you know that when you adopt a cat, it is for life. You do not just abandon your cat because it becomes inconvenient. Sadly, that is what happened with a feline that my good furiend Lucky told me about. Now we must help this cat, who is fortunate to have had a chance to become the star of a cat rescue story, find a home. You know that Lucky is a ginger boy, and he of course cares a lot about his fellow ginger cats. Well, Ty is a feline who has a sad story to tell you. You see, he was four paw declawed, and his teeth were filed down. I do not understand why a human would do this, and their lack of compassion for Ty shows up in the way they treated him later. You see, Ty’s humans, decided to dump him when it became inconvenient for them to keep him. 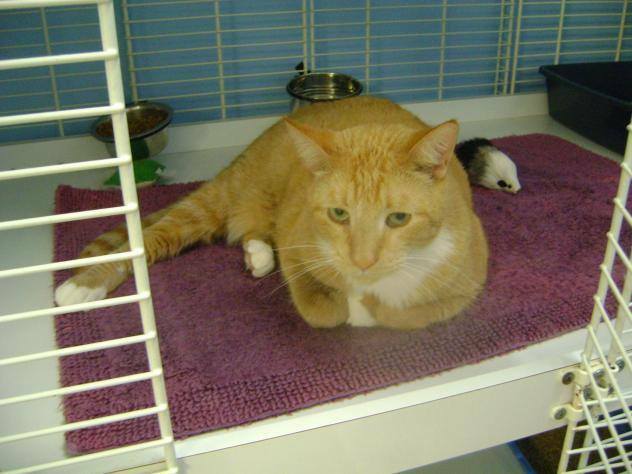 He was adopted out, but things did not work out so he had to go back to Cats Exclusive. 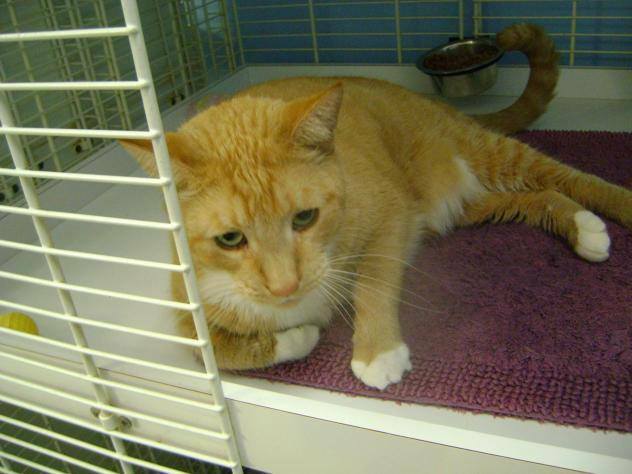 It is sad for Ty that he thought he has had two good homes, only to lose them. You and I know that whoever gave him the first home was not very kind. They declawed this ginger boy, and then they filed his teeth down. This is not the right way to treat a feline, my furiends! Because he deserves better, we must help complete the cat rescue story for Ty, my furiends. Ty is not asking for much. He just needs someone who will take him and give him the furever home he deserves. If you are that person, please contact Cats Exclusive and let them know you want to give Ty that home. If you cannot do this, please share his story so that someone will see it and give him that home.